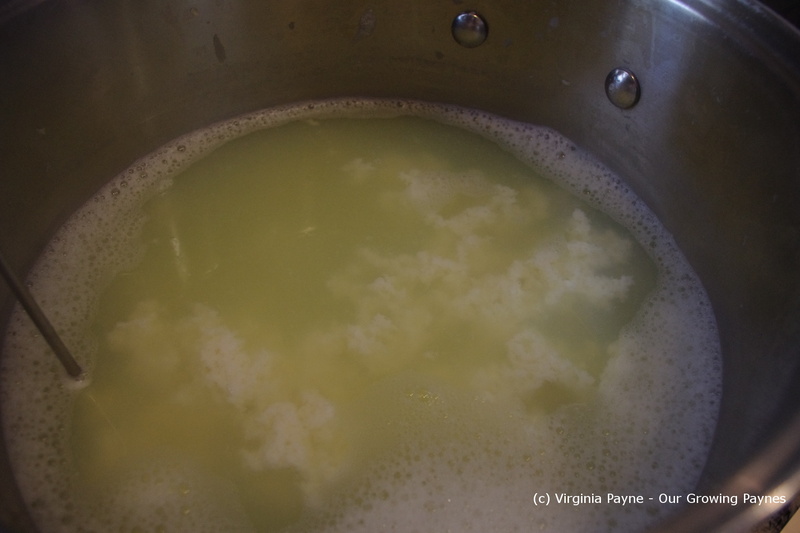 In my previous post about making swiss cheese I mentioned saving the whey for another recipe. 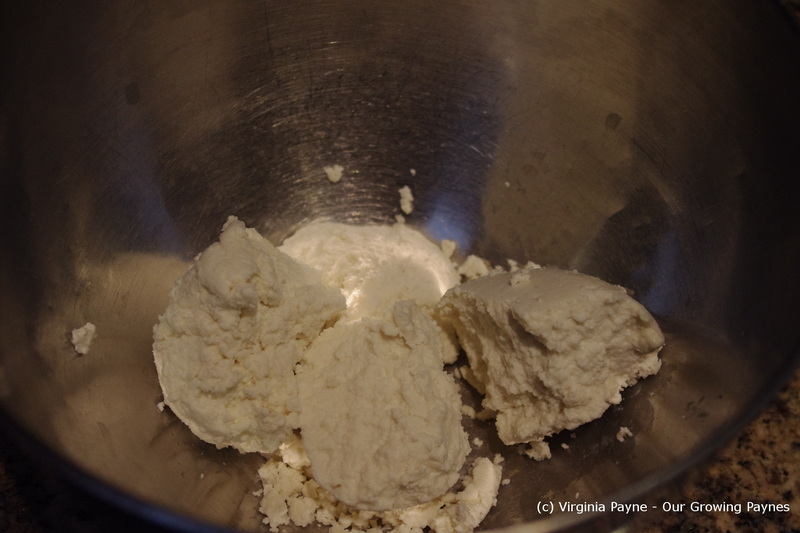 When making various cheeses you may find yourself with a good amount of whey left over. Not wanting to waste this we make ricotta cheese. 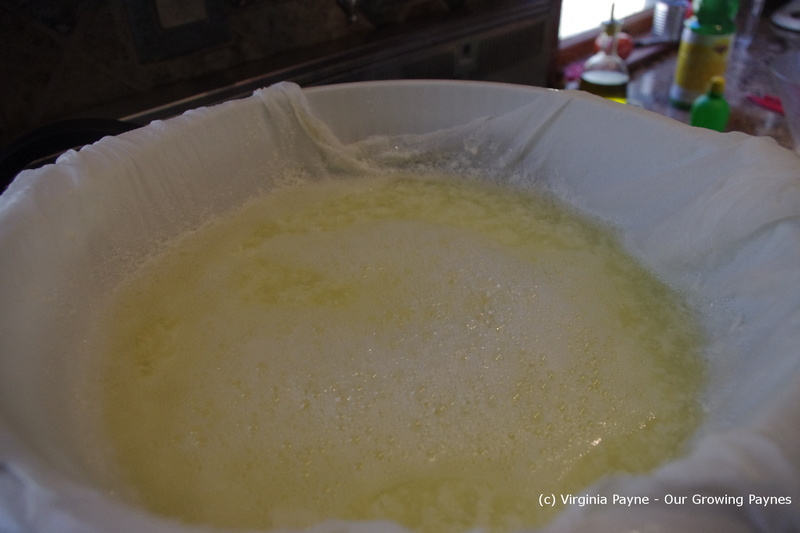 It is a very simple cheese to make. For this we used the book “Mastering Artisan Cheesemaking” by Gianaclis Caldwell. It is an excellent book if you are moving beyond beginner cheeses. Again it is important to make sure everything is sterile. While continually stirring bring the whey up to 195-200F or 91-93C. It is important this does not boil! Once the temp is reached let it cool back down to 190F/88C while stirring. Now it is time to introduce the acid. You can use lemon juice or vinegar, usually white or cider. 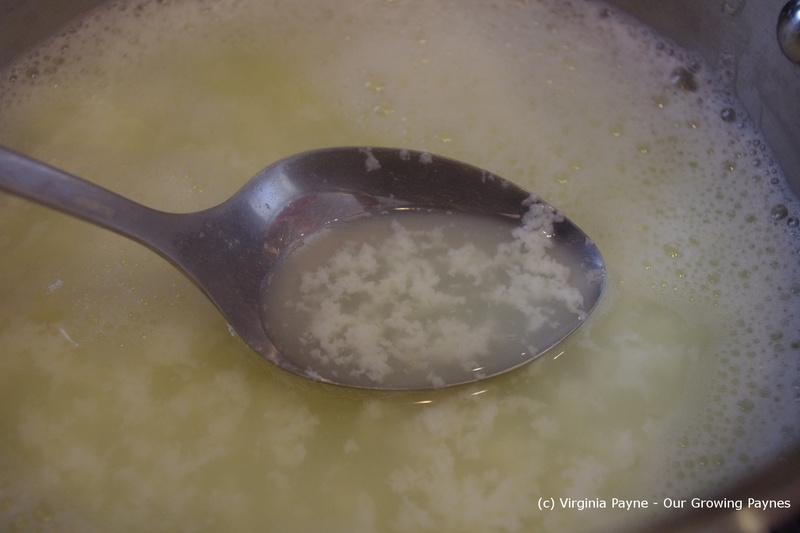 To do this 1 tablespoon is added at a time until the curds separate enough. 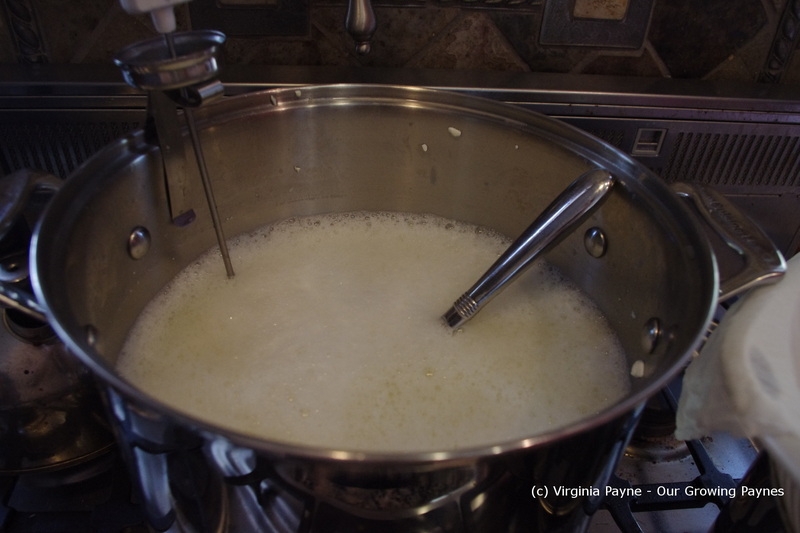 Have a colander lined with cheese cloth or butter muslin over a large bowl to drain the cheese. 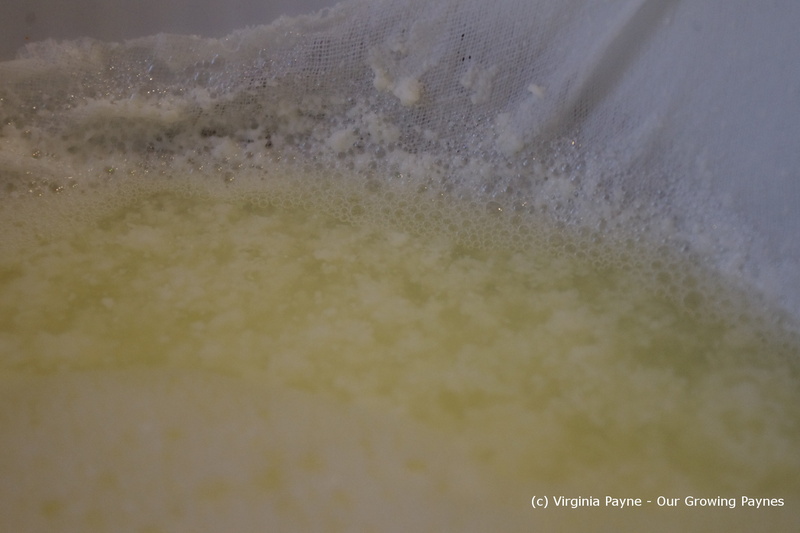 Once most of it has been drained hang in a spot that is not drafty to let the rest of the whey drain. This takes about an hour. Salt to taste if you like and then store in an airtight container in the fridge. It keeps about a week. I didn’t salt this as I wanted it for a recipe. 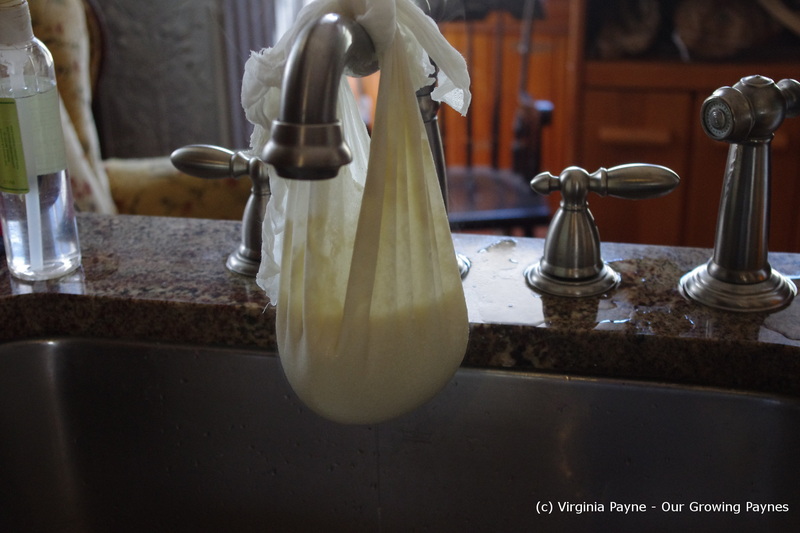 This entry was posted in Cheese and tagged cheese, cheesemaking, curds, food, ricotta, ricotta cheese, vegetarian. Bookmark the permalink. Thanks! I hope you try it. :). I’m guessing whey is whey? 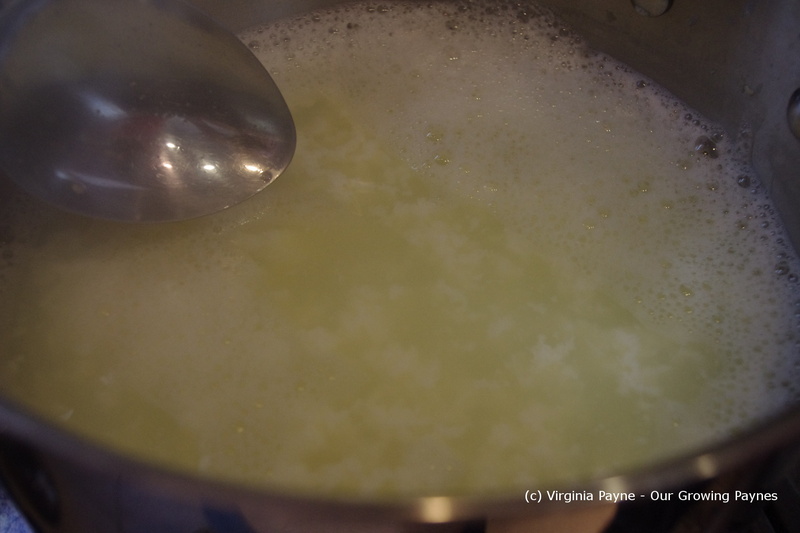 So if I made butter I could make ricotta with that whey, too? You know I don’t know as that’s a different process. Worth an experiment ! I’ve tried making ricotta this way but never make enough cheese to have the whey necessary to make a usable amount of ricotta. What little I made was tasty, though, and I’m sure yours would be, too. You’re written another great how to post and I’m sure many will find it very useful. You can make it with full milk as well. I’ll post about that at some point. Your cheese making skills are great! I’d love to try this sometime, I bet it tastes amazing! I’m not much of a cheese maker, but you are inspiring me to try this! It is a great cheese to start learning how to do it.